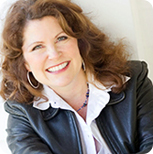 Dana Hilmer is the founder of THRIVE*itude, Inc., a coaching and training company, the mission of which is to increase whole-life happiness AND to help individuals, leaders and organizations cultivate the attitude (mindset) and aptitude (habits) to THRIVE. THRIVE*itude, Inc. brings the research-based science of happiness and human potential to life for organizations of every size. Our message and work is inspirational and always actionable. We work with individuals and teams to provide strategies and tools to cultivate positive transformation. The bottom line: Increased outcomes in productivity, creativity, engagement, happiness and success. Research proves that happiness leads to success! We typically spend about a third of our waking hours working and another third thinking about and preparing for work. It only makes sense that being happy at work is integral to a happy and healthy life. And yet, according to Gallup, only 1% of Americans really love their jobs and a whopping 70% either aren’t engaged or truly dislike their work. This can be changed. There is a common misperception today that success leads to happiness. That the more successful you become the happier you will be. This belief explains why there are so many stressed out and unhappy “successful” people in the world. “If you have happier employees, you’ll have happier customers, and in the end you’ll actually have a more profitable and sustainable business….